The devoted owner of the dark haired moggy realises the affection and protection her cat offers. 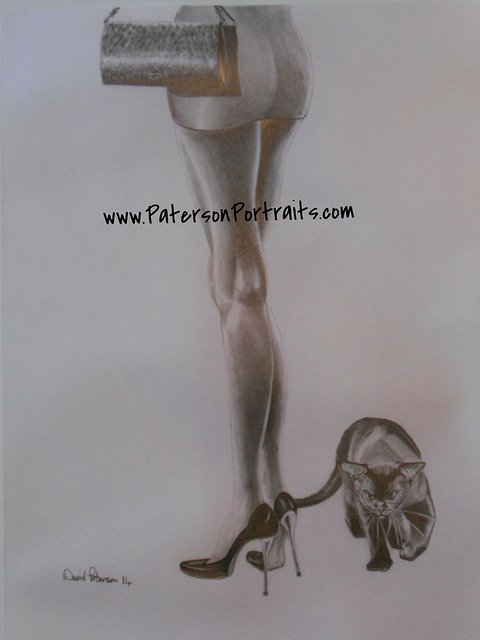 The Original graphite pencil drawing is on A3 artists paper and comes mounted and framed. Canvas prints are available.